With Rafael Devers in the majors, you can make the case that Michael Chavis (pictured) is the top position prospect in the Red Sox farm system. Chavis was featured in a recent Scouting Scratch, and SoxProspects.com Director of Scouting Ian Cundall took an in-depth look at his offensive and defensive profiles. Cundall also wrote up a couple under-the-radar prospects on the Portland roster in a separate Scouting Scratch, with middle infielder Chad De La Guerra and left-handed reliever Bobby Poyner being the focus. 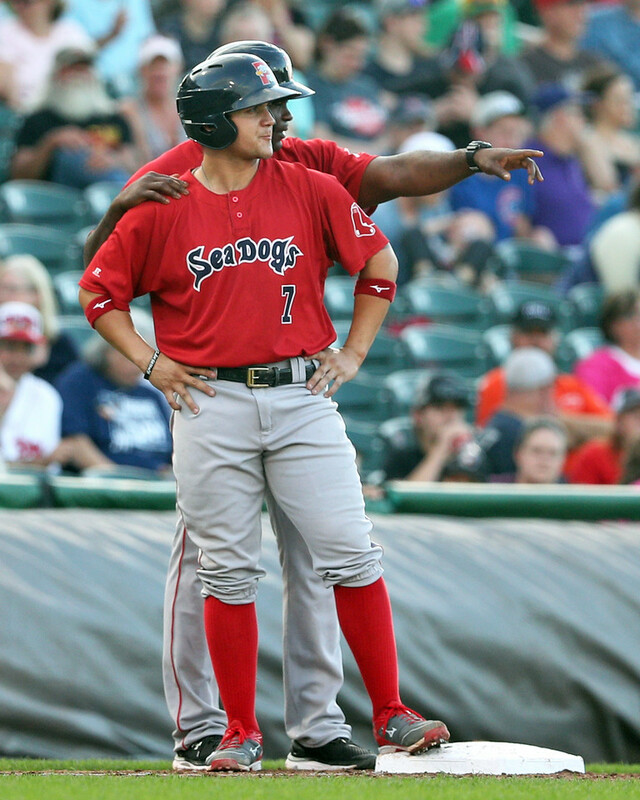 De La Guerra is currently hitting .327 with a .416 on-base percentage as the primary shortstop for the Sea Dogs, while Poyner has a minuscule 0.35 ERA in 26 innings. The Red Sox reinforced their bullpen with the addition of Addison Reed from the New York Mets on Monday. Boston surrendered Pawtucket reliever Jamie Callahan and Salem relievers Stephen Nogosek and Gerson Bautista in the trade. Cundall stayed busy, writing up a Trade Analysis on the three players going to New York. With David Price going on the disabled list Robby Scott was called up to Boston, but he was only up for a few days before being optioned back down. Austin Maddox was called up in his place on Monday and will begin his third stint in the Boston bullpen. The pitching depth took a hit over the last few days with Price going down and Brian Johnson also going on the disabled list with shoulder fatigue. The Red Sox also lost Luis Ysla, who was designated for assignment and traded to the Los Angeles Dodgers for cash considerations. Ysla was cut to make room on the 40-man roster for Eduardo Nunez, who took Deven Marrero's spot in Boston. Marrero hit .212 with a .576 OPS in his 58 games in the big leagues. Janet Marie Smith, the Senior Vice President of Planning and Development for the Los Angeles Dodgers, will assist the PawSox as they consider future options for the site of a new ballpark. Smith worked with Pawtucket Red Sox Chairman Larry Lucchino to create Oriole Park at Camden Yards, and she also worked on the updates to Fenway Park. As discussed below, Jeremy Barfield (pictured) went on an absolute tear last week. 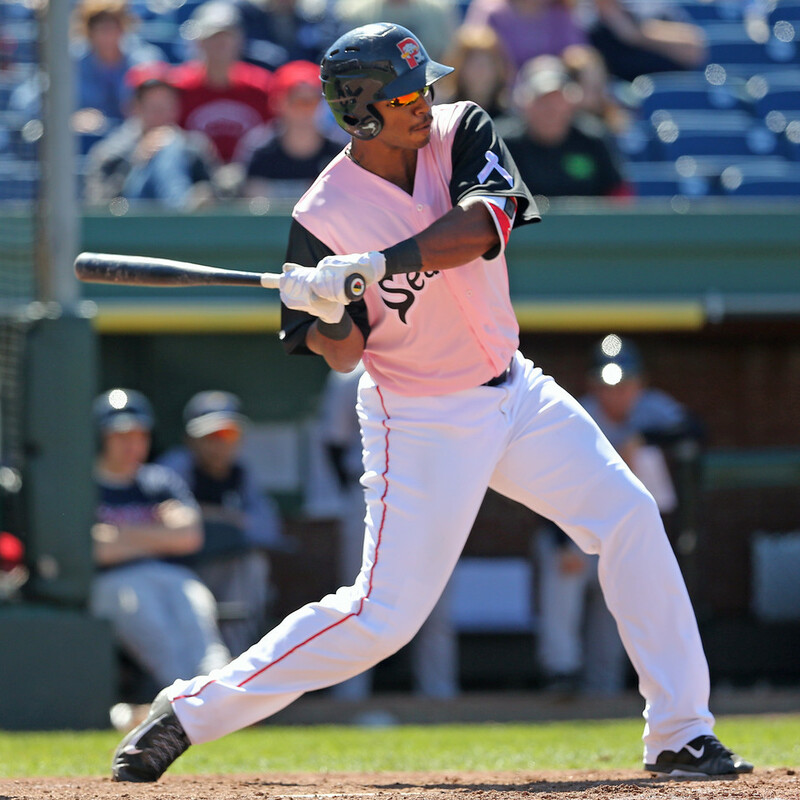 He was named the Eastern League Player of the Week, in addition to being the SoxProspects.com Player of the Week. Barfield now has seven home runs over his last eight games, surpassing the season total he has had in a few of his minor league seasons. The 29-year-old has raised his OPS from .864 to .967 in the last week, and he has now tied Devers as Portland's home run leader with 18. With a 6-foot-5, 240-pound frame Barfield has plenty of raw power, and he has tapped into it in almost every game recently. This is the first Pitcher of the Week award for Requena, who just turned 20 two weeks ago. Requena has mostly pitched in a piggyback role this season, but he had his first two starts last week and he did not disappoint. He entered the week on a bit of a rough stretch, allowing 11 earned runs over his last 13 innings, but he bounced back with 10 shutout innings. On the season Requena has struck out 57 over 59 1/3 innings with an ERA of 2.73, and batters are hitting only .235 against him. It has been an impressive season for the young Venezuelan, as he is finding a lot of success while being three years younger than the competition in the South Atlantic League.